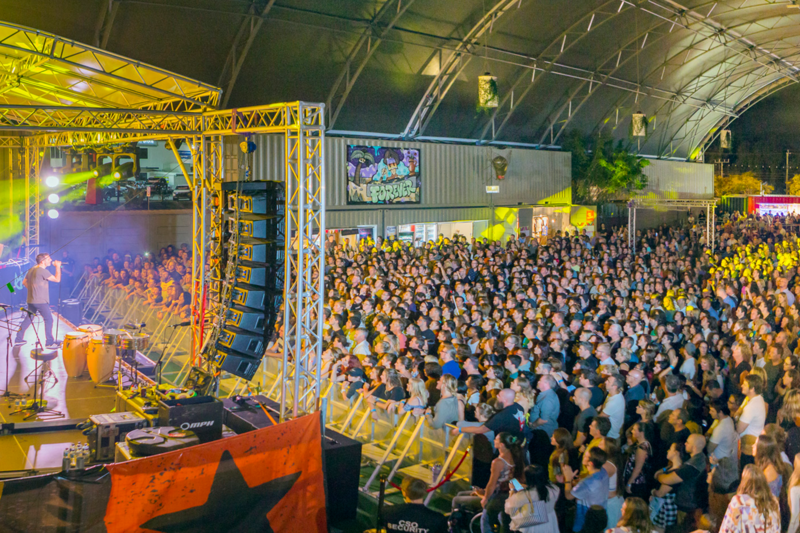 The highly successful and much loved NightQuarter Helensvale has announced the venue will be closing its iconic container doors on 1 February, 2019 after failing to reach agreement with its landlord, SCentre over a massive rental increase. Devastated owners, Michelle Christoe and Ian Van der Woude have been forced to make the heartbreaking decision after SCentre, owners and operators of Westfield Australia and New Zealand, delivered their contract extension with a rent increase of over double what they are currently paying. The husband and wife duo are bitterly disappointed they couldn’t reach a compromise and terms that worked for both parties. “We had an agreement for an extended term at the site subject to agreement on revised rent. The landlord was seeking more than double the rent for an extended five-year term. We tried numerous times to negotiate a revised agreement that worked for both parties, even directly contacting SCentre CEO, Mr Peter Allen, however there was limited opportunity to get to a deal that would have enabled us to stay at Helensvale.” Mr Van der Woude said. 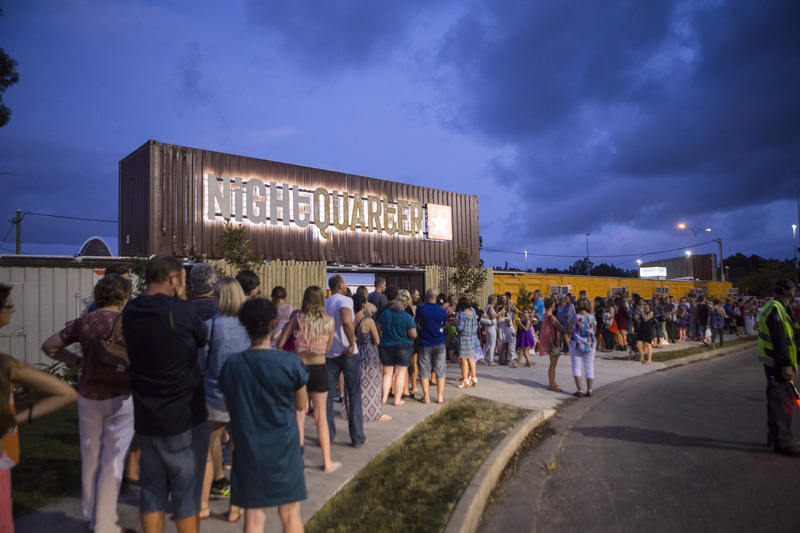 For NightQuarter to accept the higher rent under the new agreement, they would have to pass on increases of over double to their vendors, many of whom are family run micro-businesses: which would be completely unfeasible and unrealistic for them. Before making the final decision, the NightQuarter owners have been searching extensively for an alternate site on the Gold Coast; but have not yet been able to secure anything suitable. In addition to the increase in rent, there was a requirement for the owners of NightQuarter to undertake extensive infrastructure work to the site so that the Development Approval could be extended with council. The venue has been under threat to close its entertainment due to noise issues with Liquor Licensing. To resolve the problem additional building works costing approximately $500,000 were required. Such a spend could not be justified by the owners; particularly in an environment where competing activity has tripled with more and more free and subsidized events being hosted by the Gold Coast City Council including the new Major Events Gold Coast and HOTA. Ms Christoe wanted to express that she felt privileged and humbled by the interest and support from the many local artists, the broader music community as well as the various media outlets who helped get them started when they commenced operation in November 2015. She also wanted to thank the many partners in the community who helped make NightQuarter an icon for both the local community and visiting tourists, including Gold Coast Tourism, BlankGC, Queensland Tourism and Events, Oztix, Energy Entertainment, Magic Castle, Hula Hut and particularly, Aurora Training, whose partnership saw many young trainees land their first job in hospitality making them job ready for when they finalized high school. 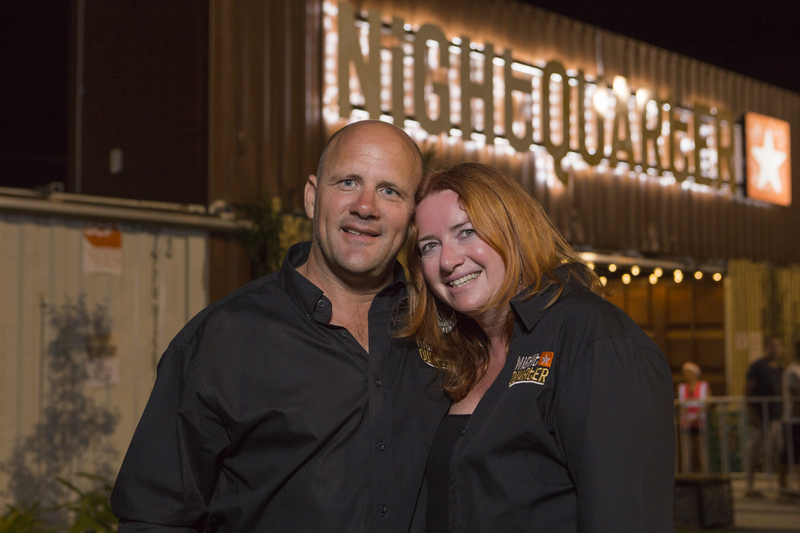 NightQuarter will continue to operate until 1 February 2019, with a huge line up to celebrate the achievements over the last 3 years and say good-bye to the Helensvale community that they have come to love so much. 19 January Summer Ice Cream Festival featuring Icecream food trail with all the nostalgic classics like ice cream rolls, frozen yogurt, ice cream filled donuts, loaded ice cream cups, ice cream cocktails, dutch pancakes with icecream, ice cream cookie sandwiches, honey puffs with ice cream, ice cream donut sliders and more!. Entertainment will include NightQuarter Spectacular, Roving fire, Sunny Coast Rude Boys, Dual Frequency, Elska, Liv Heyer and Harry J Hart PLUS School holiday workshops: Living Art (adults) and Kids Painting. 25 January Patrick Topping & Eats Everything – ticketed Live in The Paddock only. 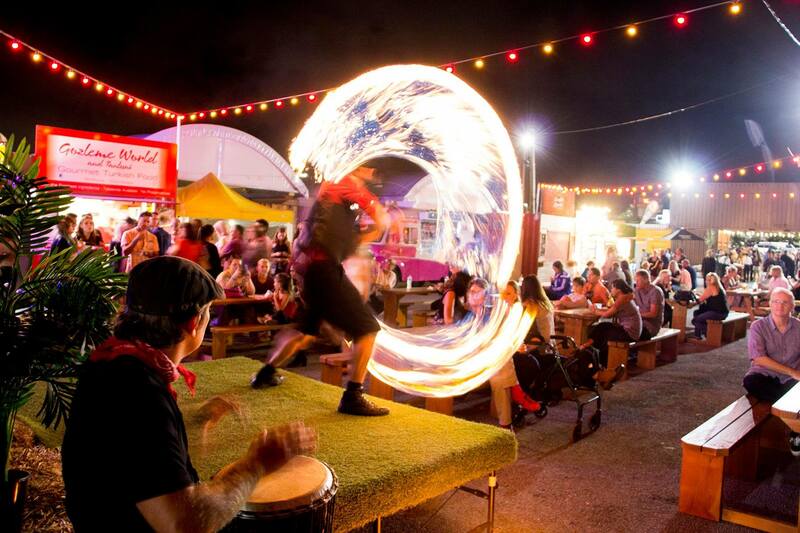 The NightQuarter market features a roving fire show, Liv Heyer, Harry J Hart and Three Piece Band. 26 January Australia Day Fest BBQ, Beats and Beers. Will be a ripper of a night with Cockroach races, thong throwing, dunny roll throwing, sausage sizzle, snag eating competition, The Aussie Magician and Cozy the Koala, Kids Aussie Animal Painting Workshops. Entertainment will be featuring NightQuarter Spectacular, Roving Fire, Classic rock with Prime Ministers of Australia band, Magnetic force, Harry J Hart and more! 1 February UB40 featuring Ali & Astro supported by local DJ Connor and Bobby Alu – ticketed in The Paddock. 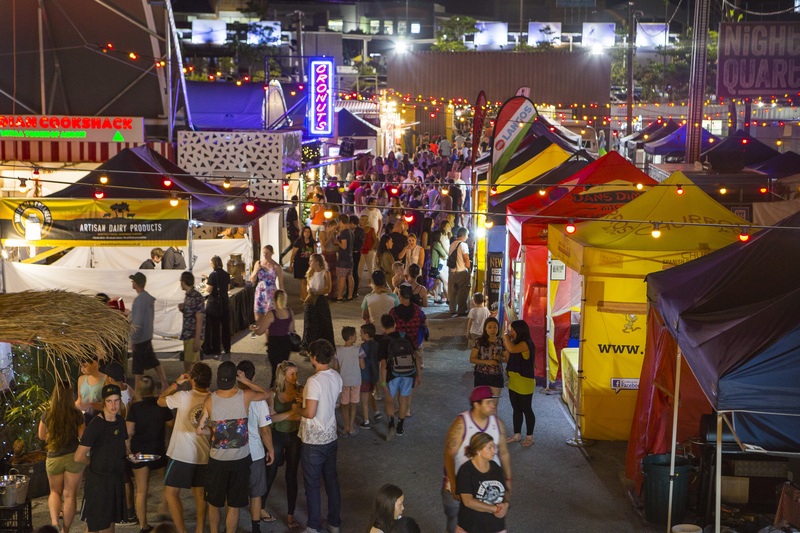 NightQuarter Markets will feature for its last night a Roving Fire spectacular, Lock n Load, Harry J Hart Band, Obi, Elska on the harp & More. 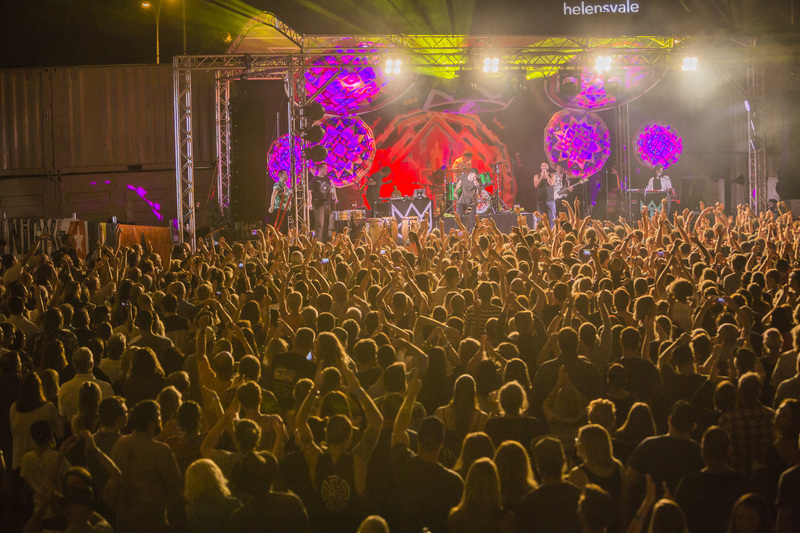 Both Ms Christoe and Mr Van der Woude invite the entire Gold Coast community to celebrate the iconic venue each weekend until they sadly close the doors at NightQuarter Helensvale.